Major General Jerry Grizzle, PhD, United States Army (Retired), became the 19th President/Superintendent of New Mexico Military Institute on July 1, 2009. General Grizzle graduated from Southwestern Oklahoma State University with a BS in Accounting. He received his MBA from Central State University and his Ph.D. from Oklahoma State University. Previously, General Grizzle was the President/CEO of Orbit Finer Foods, Skolniks, CD Warehouse, and most recently AMS Health Sciences in which he was fully responsible for all aspects of business development in a highly competitive marketplace. Prior to his tenure with CD Warehouse, he was Vice President/Treasurer of Sonic Industries. General Grizzle’s military career began in 1971. He was commissioned as an infantry officer upon completion of Federal Officer Candidate School in 1972. 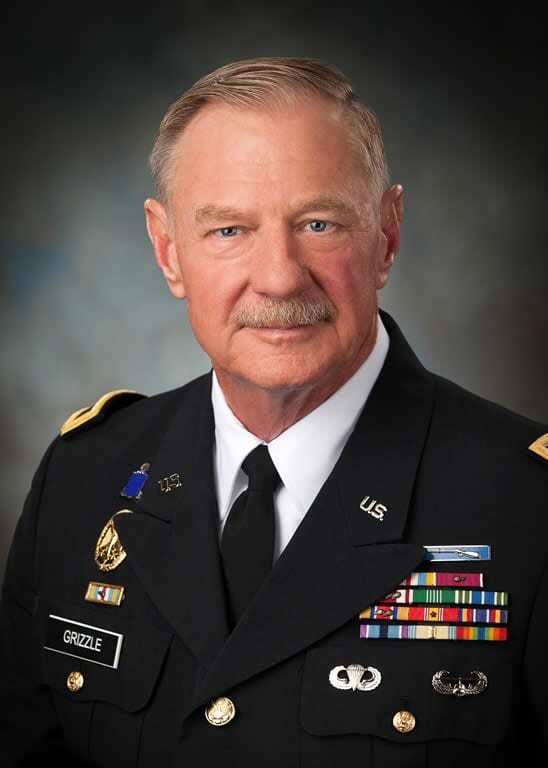 Prior to this assignment, General Grizzle served as Commander of the 90th Troop Command (Oklahoma Army National Guard); Commander of the 45th Infantry Brigade (Oklahoma Army National Guard); and Deputy State Area Commander of the Oklahoma National Guard. While Deputy Commander of the 45th Infantry Brigade, he participated in the security effort following the April 1995 bombing of the Alfred P. Murrah Federal Building in Oklahoma City. Most recently, he served as Vice Director for Joint Training at U.S. Joint Forces Command in Norfolk, Va., while additionally serving as Vice Commander of the Joint Warfighting Center in Suffolk, Va. Immediately after the attacks of September 11, 2001, Major General Grizzle entered active federal service and took command of the Department of Defense Joint Task Force -Civil Support (JTF-CS), the only unit in the Department of Defense responsible for the planning and execution for the response to any possible Weapons of Mass Destruction attack within the United States. General Grizzle and his wife, Shawn, a former high school Biology teacher, have two children and three grandchildren.